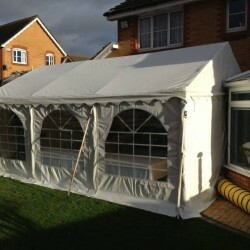 New Years Eve party extension to the house! 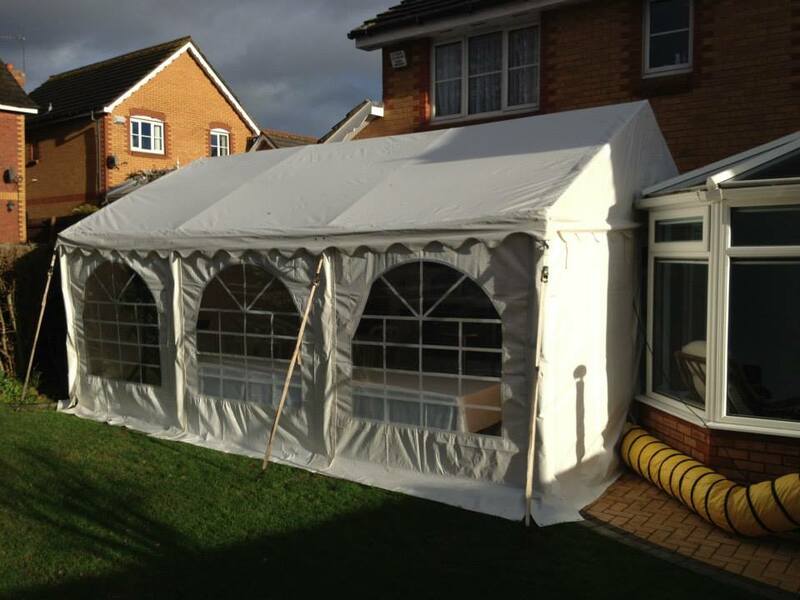 We linked the Jigsaw 24 up to the customers conservatory. 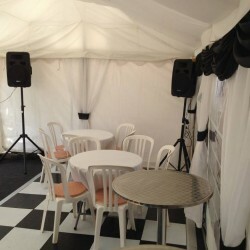 They had a small dance floor, music and of course a heater. 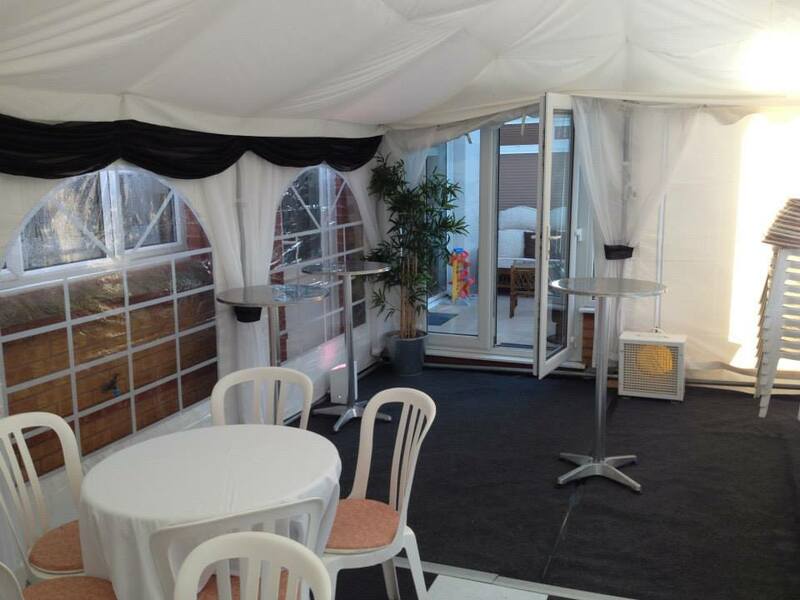 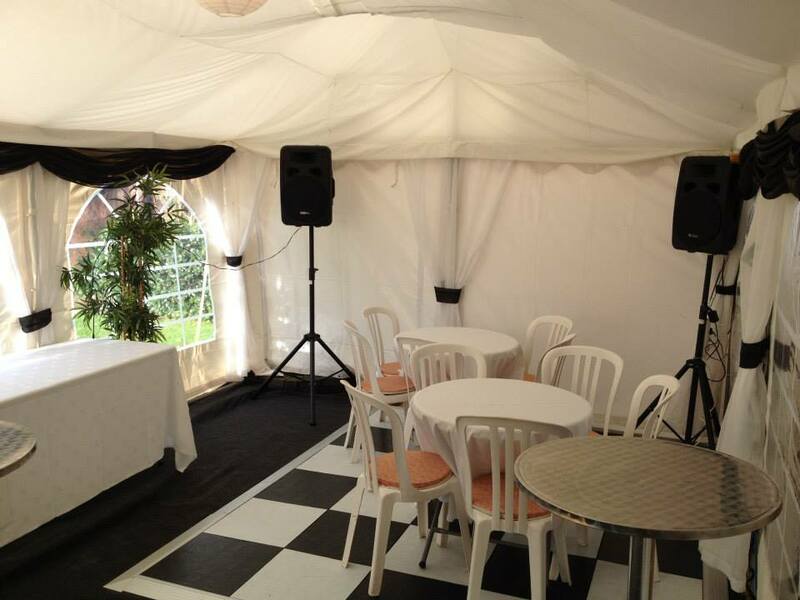 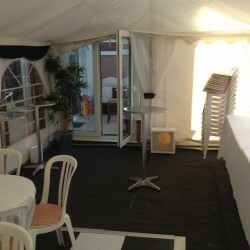 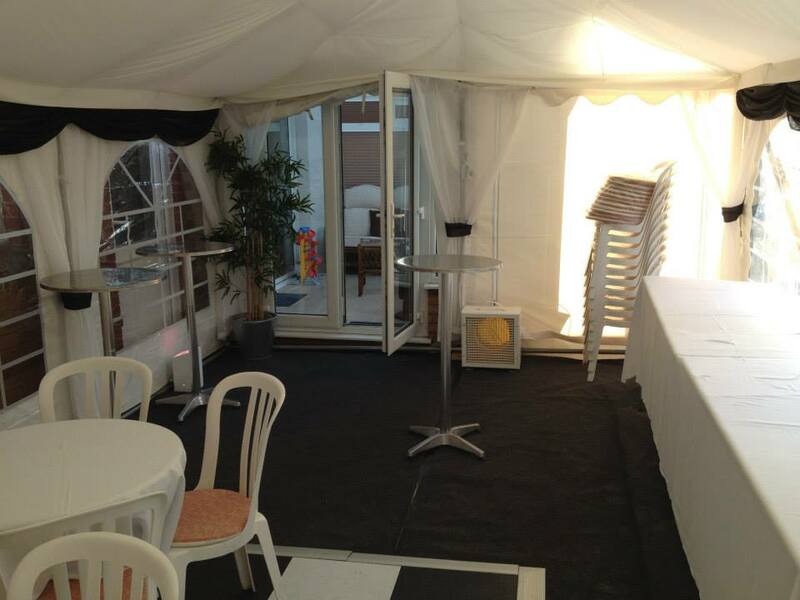 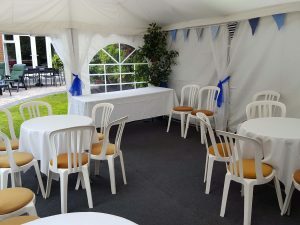 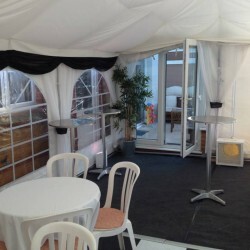 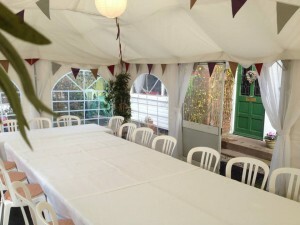 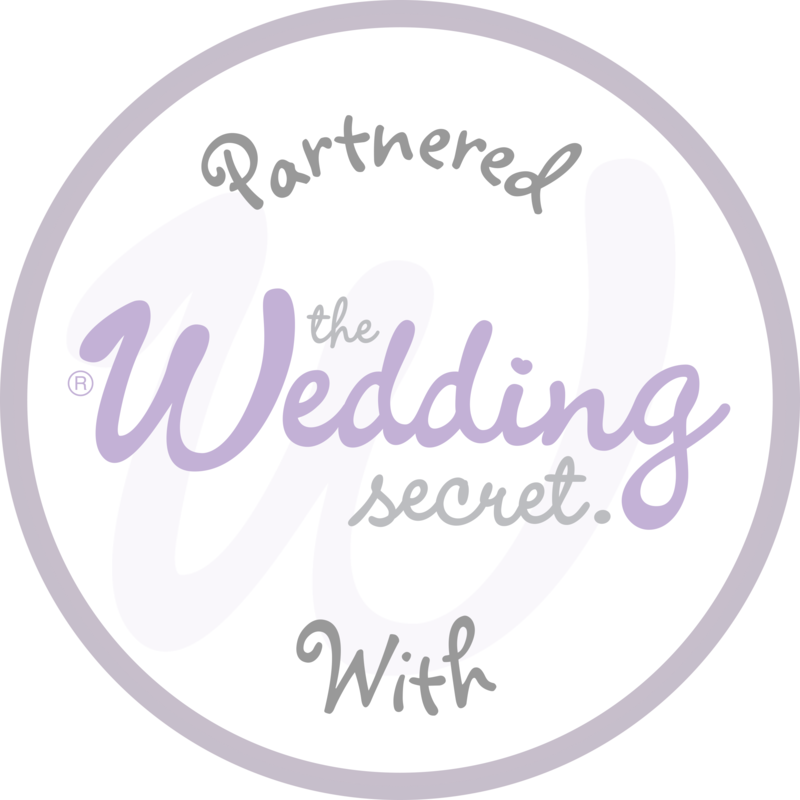 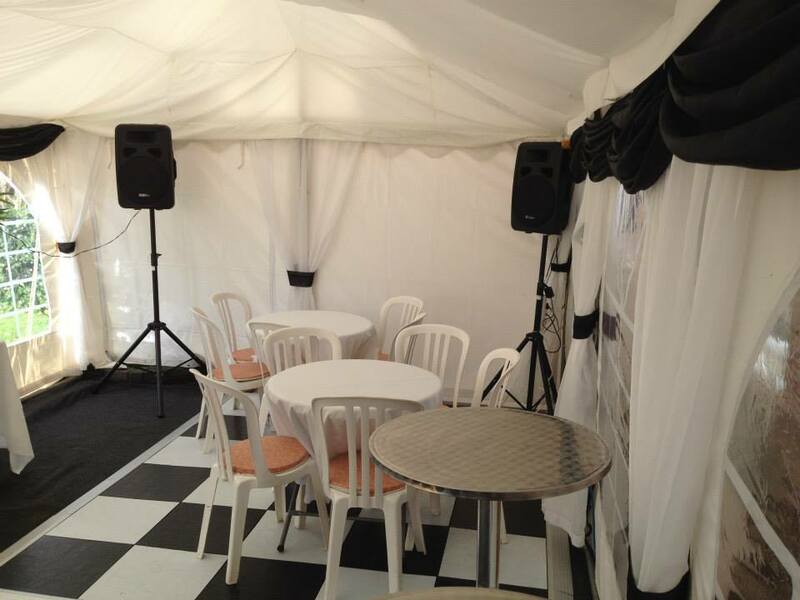 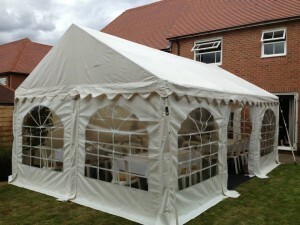 The guests loved the marquee because it was so warm! 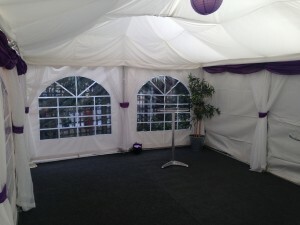 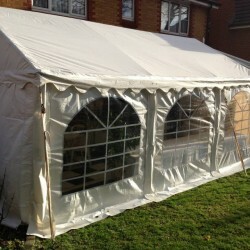 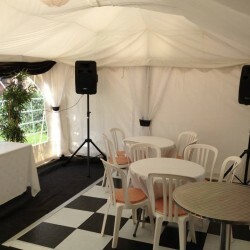 I just wanted to say a massive thank you for the fantastic marquee that we had for New Year! 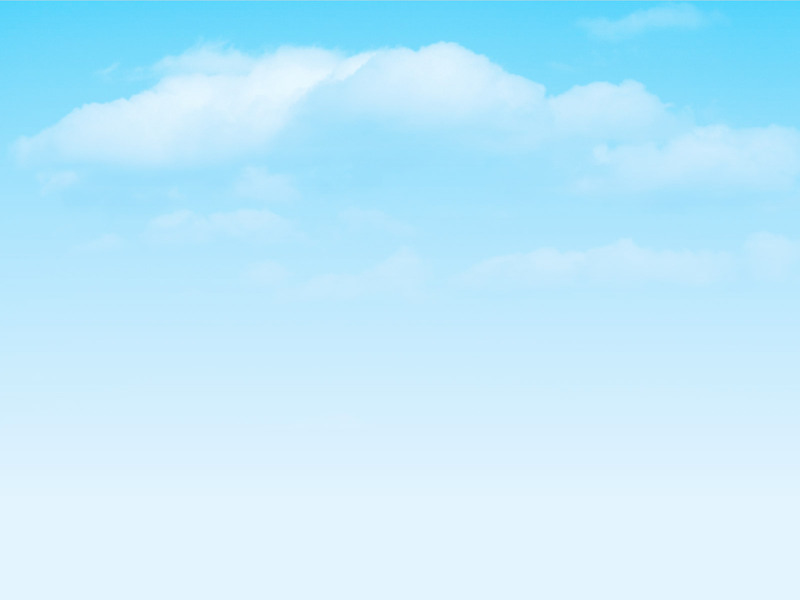 You trooped on in difficult circumstances and your customer service was wonderful. 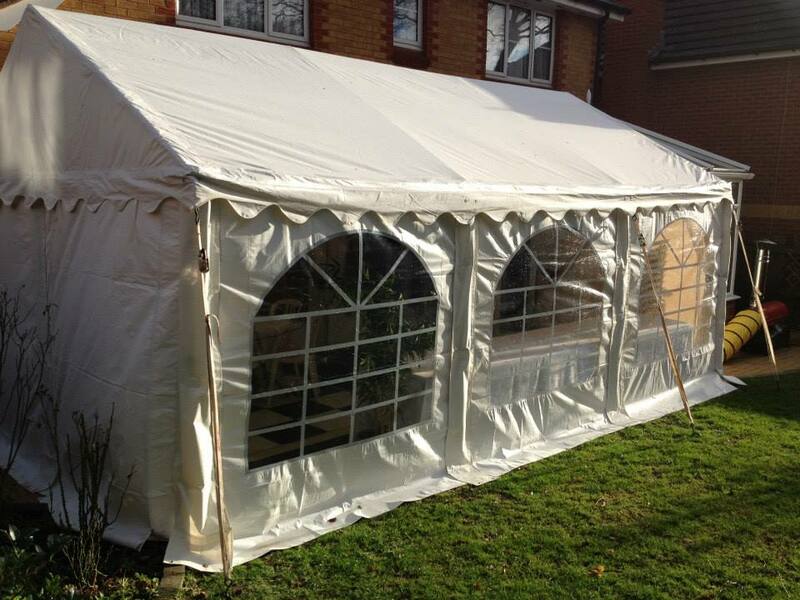 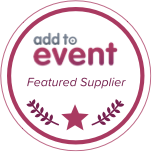 We will definitely be recommending you and hopefully be using you again in the future.